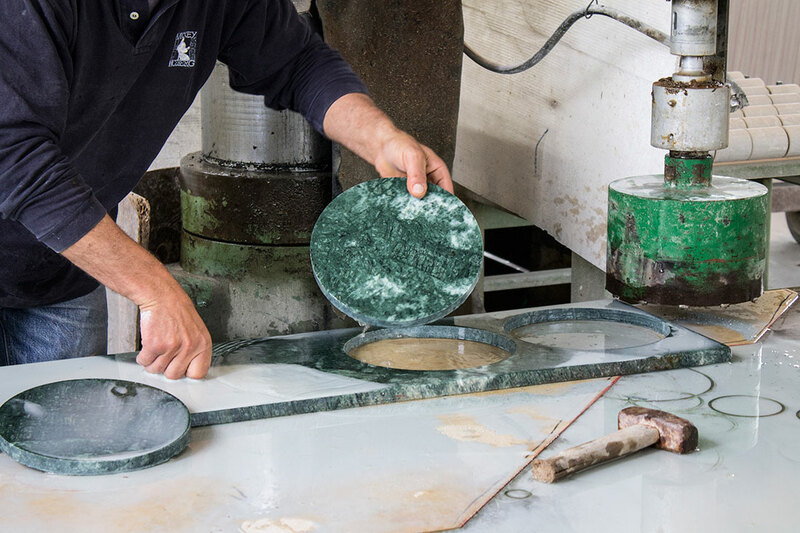 The marbles for the lamp have been chosen for reasons of style and viability. The marbles had to express Art Deco taste but at the same time be easily available. 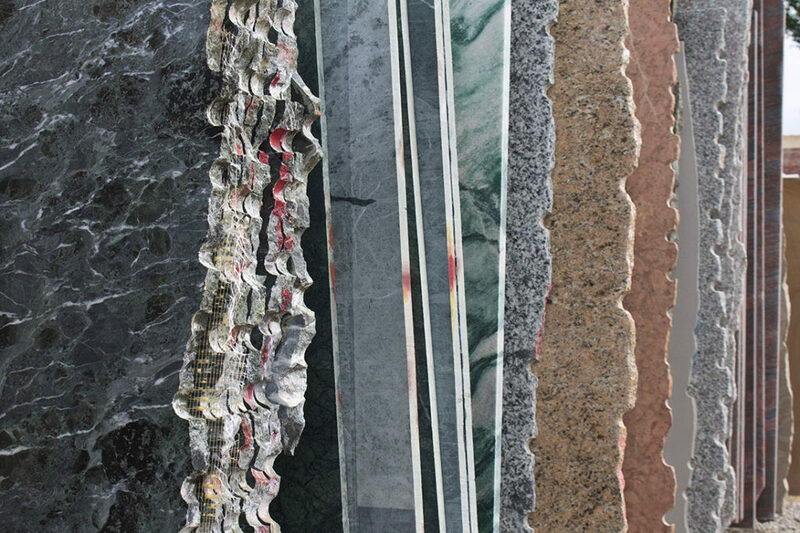 Many types of Italian marble in fact no longer exist or are very difficult to find because the quarries have meanwhile been closed. 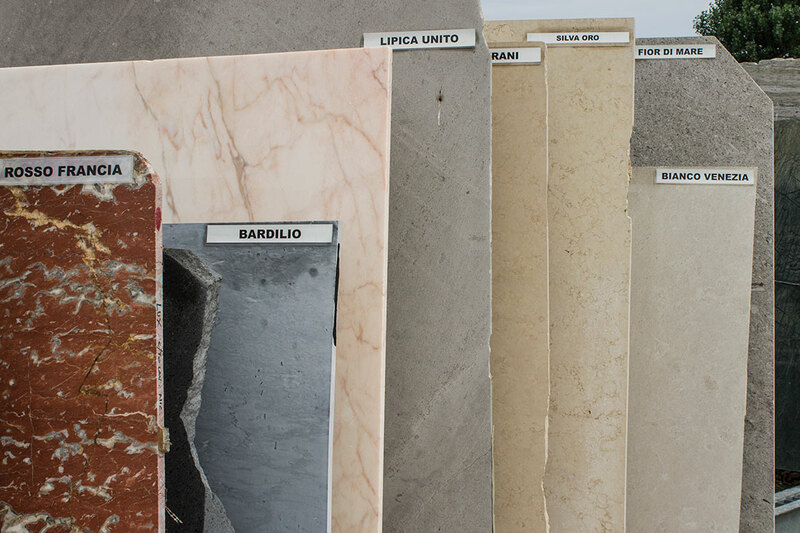 For these reasons, I selected Nero Marquinia and Bianco di Carrara. On special occasions I have used other, rarer types of marble. 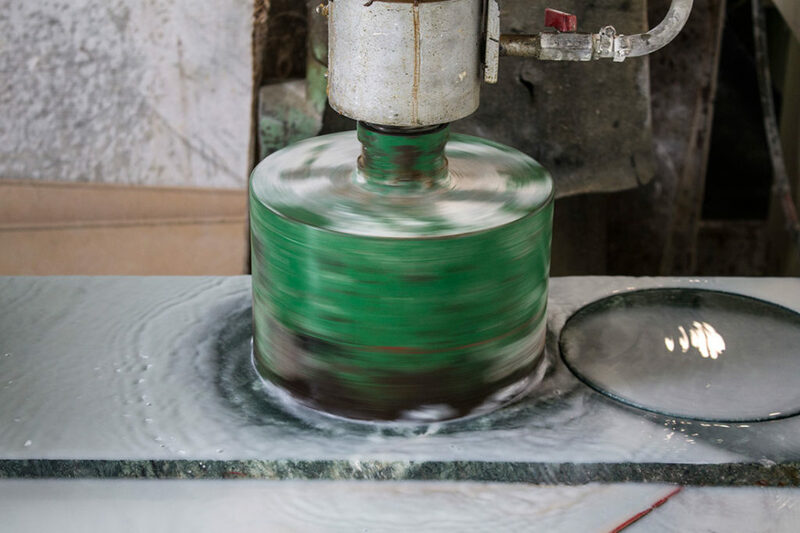 The disks are made ​​from 2 to 3 centimeters thick slabs of marble. 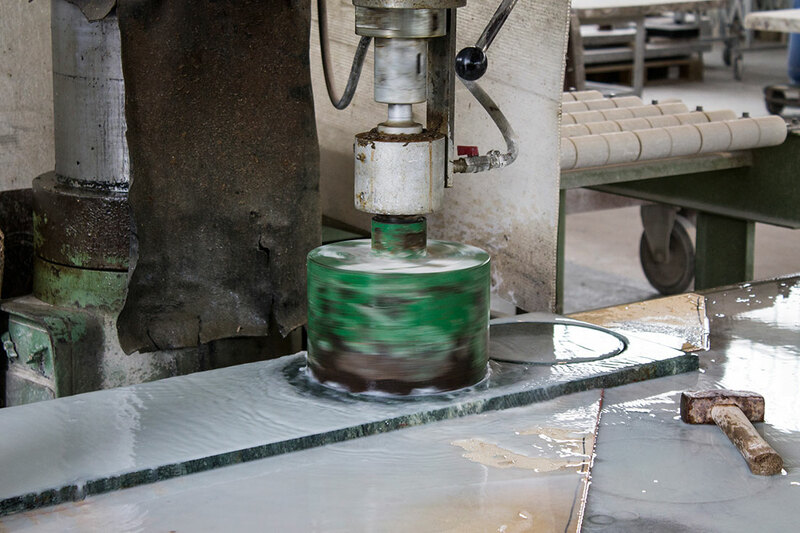 The circular cutter rotates over the slab and is then able to slowly cut the piece. The whole process occurs under a constant stream of water that prevents overheating and removes dust. Once it has been cut, the disk is dressed and polished. The disk is patiently finished off and polished up by hand, first the sides and then the front. 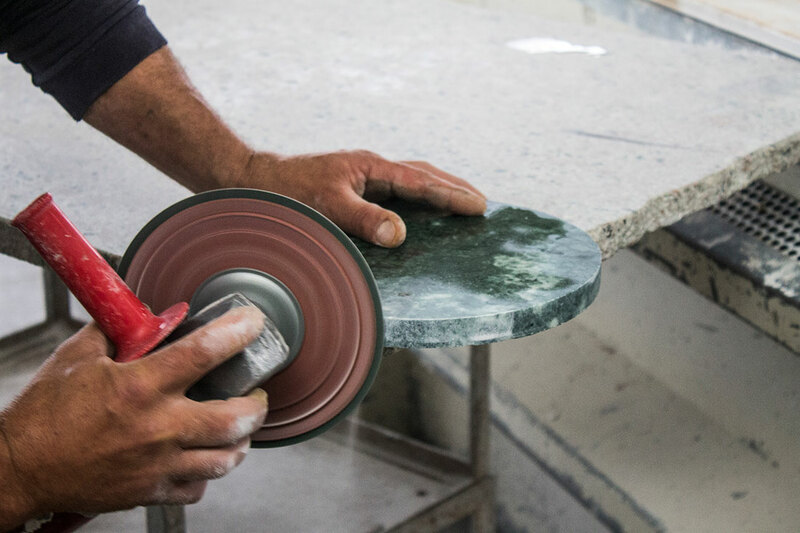 As a finishing touch, the edges are smoothed so that they form a 45° angle, instead of 90°. No chemical compound is used, only machinery and skilled craftsmanship. Near Treviso I then found the right company to work with for the realization of the custom-made brass structure and LED components. Thanks to their expertise, we have identified the best LED source that would ensure the best light and atmosphere, and enhance Novecento. In their workshop we also developed the brass structure. A skilled craftsman with more than 30 years of experience folds the brass rod by hand at room temperature without having to heat the material. 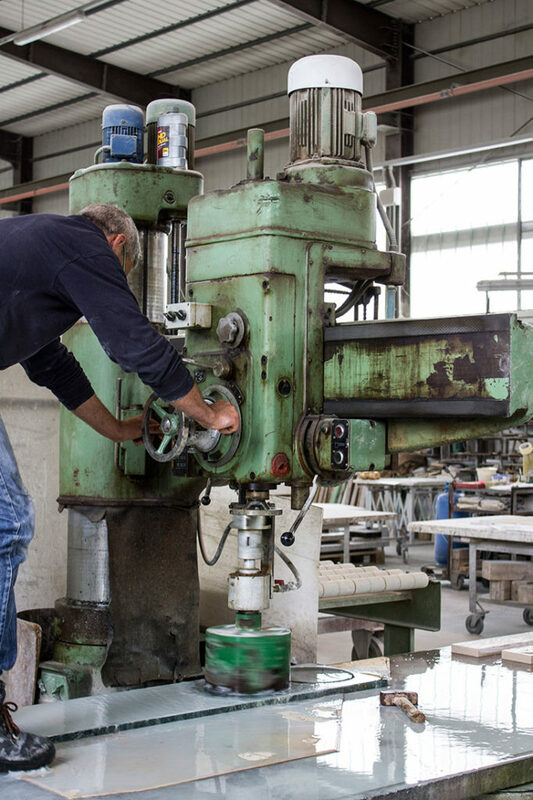 In order to be more accurate, he uses a template that helps in the folding of the piece. The peculiarity of Novecento is that each piece is unique, that is different from any other piece. Brass is a fascinating material but much harder to work and weld compared with iron or steel. Perfect accuracy is unattainable, but I think this typical, capricious behaviour of brass makes each Novecento even more special: a personal creation of the artisan. I have favoured brass over other metals because I wanted a noble material. I could have used another metal and then finished it off to imitate brass, but I prefer the genuine features of a material to show.